JungleSutra has been especially crafted to showcase India’s more commonly sought-after wildlife, as well as introducing the lesser known species that as of now, India may not be known for. We don’t just focus on Jeep safaris but a whole array of safari activities encompassing walking safaris, boating, canoeing, night safaris, cycling safaris and elephant safaris. We are very keen to change the way people perceive Wildlife in the Indian Sub-Continent, take guests into the more remote and therefore less visited parks. We ensure that all itineraries and programs are designed by wildlife enthusiasts rather than travel professionals alone. We at JungleSutra are a team of wildlife enthusiasts and have travelled extensively in India and around the world for wildlife and can curate programs to meet your requirements and exceed expectations. 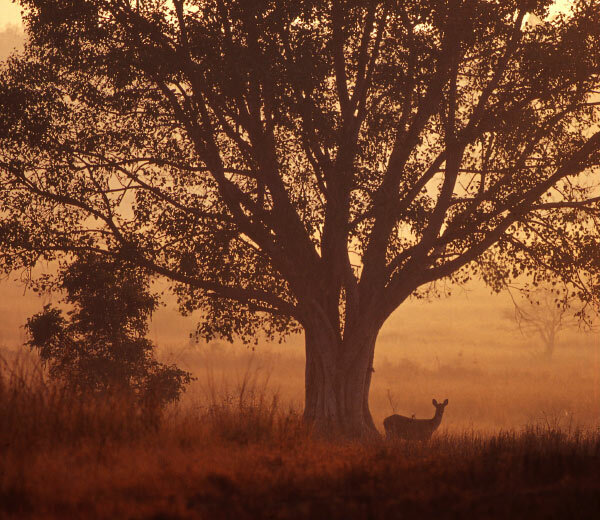 The Indian subcontinent offers a spectacular diversity of wildlife. It has the highest number of wildcats species, home to 50% of the world’s bear species, 12% of the world’s bird diversity, the landscape is home to deer as well as antelope species, all varieties of canines from wolves, hyena, jackal, wild dogs and fox yet very different from those found in Africa or other regions of the world. The region has over 870 endemic species and more species are still being discovered making its wildlife diversity unique and unlike any other region in the world.